It seems that parenting becomes more complicated every day. And as a Christian mom, it seems to be increasingly hard to discern popular parenting advice from the latest fad. If I had to identify the main factors that create stress for parents, especially moms in my generation, I would have to say that a lack of parenting confidence would top the list. You might even call it a Crisis of Confidence. Because for everything we think we know, there’s an opinion floating around that seems to contradict our natural, God-given instincts. This may cross our path in the form of a social media post, new research, or an opinionated friend. It’s a tug of war between Instinct and the Village Consensus, and it seems that Instinct loses more often than not. The Village today IS LARGE, my friends. And it’s not the same village your grandparents enjoyed. Today’s village exists mostly online. 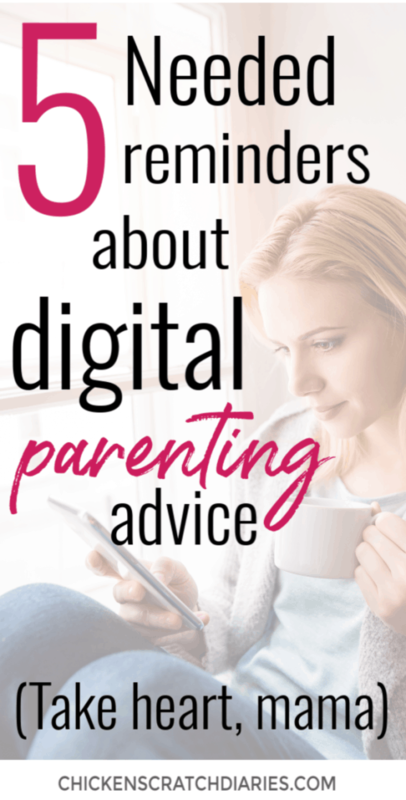 Most of us live such hurried lives that our parenting “help” comes in the form of digital advice and non-face-to-face communication. It’s the reality many of us have adapted to in the modern world. Fewer and fewer moms actually have a close network of friends and family that they know well enough to trust their opinions and hold them in esteem – or above that of the internet masses. And even fewer parents have the ability to value their own opinions with any degree of confidence. Parenting is unique in that you can do it SO MANY different ways and still turn out AMAZING kids. And best of all, God has given us a roadmap- his Word – to test any parenting trend against. 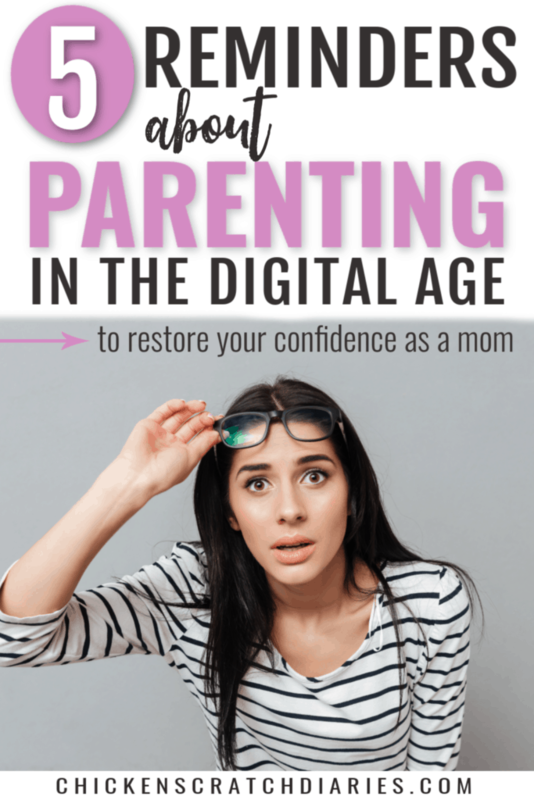 If trying to understand all the different parenting styles, advice and opinions leaves you feeling uncertain, here are five major truths that might just restore your confidence. #1. The Internet Village is Great, but SO ARE YOU. Hi, I’m Brandi and I’m a mom blogger. I write things about parenting based on my personal and professional experience, education and observations. Do I think I have a valid point now and then? Sure, at least I think so. But so does everyone else who writes stuff on the internet. And frankly, some are more qualified sources of information than others. Am I advocating for ignorance? Well, no. Do books and blogs and advice have no benefit, you ask? Of course they do. Reading a fresh perspective might be just what we need to motivate or inspire us in this journey of motherhood. What I am suggesting, though, is that it pays to be discerning. So yes, it’s AMAZING that we can glean from others’ knowledge. The Village certainly has its place. But, our own experiences and opinions are also valid and real and worthy and should be given sufficient weight in our decision-making process. #2. 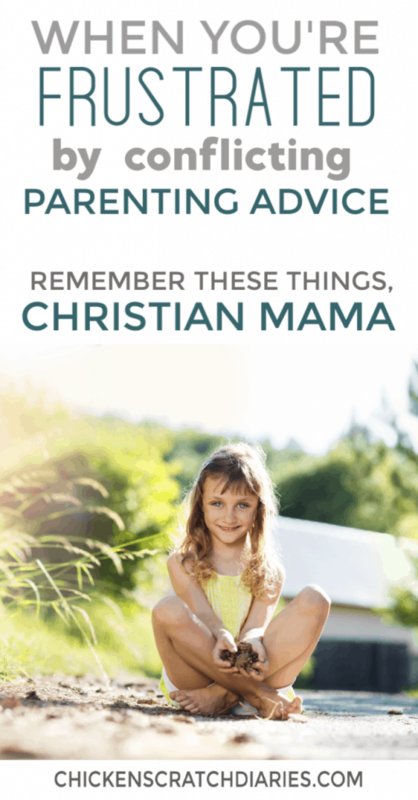 You don’t have to adhere to one particular parenting style. Maybe you’re reading this and you don’t even know what your parenting style is. You worry you’re not positive, intentional, calm, gentle or attached-enough. You’re not sure if you have an anxious child, a strong-willed child, a highly sensitive child or a child that might just be anything if we analyze him enough. You might be surprised to hear that it’s totally ok to not adopt a prescribed parenting style. And if you don’t have a loyal “tribe” of like-minded mama friends to affirm your every parenting decision, this could be a blessing in disguise. It might indicate that you have discovered the value of trial and error; of blending ideas and concepts and making them your own. In the process of learning that children are unique and creativity is required in parenting, we can also realize the need for humility and grace – a gift to ourselves AND our children. Sure, if you’re neglecting or abusing your kids or you’re overly harsh and critical all the time, clearly, that’s wrong and you’re probably (hopefully) aware of it. There are certain behaviors that cross the obvious line of what is appropriate parenting and what is not. But for everyone else who is trying – and who is willing to learn – I’m talking about the good, God-fearing parents with their kids’ best interest in mind: you’re probably doing just fine. Don’t let the quandary of conflicting parenting theories make you doubt yourself. Adjust where you feel a need to and pray for wisdom where you lack. And always remember that tomorrow is a new day. Do you know that parenting techniques follow trends that go in and out of fashion just like clothing and hairstyles and real butter? There is truly nothing new under the sun. Just because a new concept is introduced in a parenting book or is floating around Pinterest doesn’t mean you’re necessarily missing out on anything. And if you’re like me and don’t have TIME to read all.the.things because you’re busy actually parenting, you can be assured that you’re in good company! Wouldn’t it be great to see a revival of common sense, practical parenting? What’s up must go down. Everyone is under someone’s authority. Kids need limits. Behaviors have consequences. Empathy fosters understanding. Do you think our grandparents stayed awake at night worrying about their parenting style? And on that note, we still have MUCH to learn from past generations of parents who applied this common sense liberally, like we apply our SPF-70 mineral sunscreen today. I love learning, don’t get me wrong. But my point is that these intricate, do-or-die parenting trends are bound to come full circle at some point. Ok, that was a little tongue-in-cheek, I’ll admit. But why is it that the Bible is often the last place we seriously consider as an authority for raising our children? Or we read it, but we don’t seem satisfied with the advice we find there and we go searching for more. I’ve found myself in this place more than once. And the answers are so readily available in the Word, if we really seek them out and ask God for guidance. Much like our hesitancy to listen to the generations of parents before us, I think we also treat Biblical wisdom as something that needs a fresh perspective in order for it to be relevant to us. But deep down, we know this isn’t the case. The Bible is our best source of parenting wisdom for obvious reasons. It’s full of instruction directly from our Creator and it NEVER changes or goes out of style, despite what the Village tells us. We can rely on it, with confidence. As my kids grow, the more committed I’m becoming to leading them with a healthy dose of common sense and Truth – the kind that’s rarely found in either the halls of academia or on the walls of Facebook. I completely agree with you! So often we fall for the latest trend in parenting & we forget that humans have been successfully raising babies for thousands of years! There is such a thing as instinct & if we listen to it, we will do just fine. I think if someone’s parenting advice doesn’t feel right, don’t follow it. Thanks again for a great read!